I got an early start and stopped at the Flagstaff 24 hour Walmart for a couple SD cards. I don't usually use a camera for my photos in my blog, opting to use my IPhone camera. I have with me a used camera that uses SD cards. I have one 2Gb card in it now and want more memory space for my hike. I picked a dual 16 Gb pack at Walmart. Although, I generally use my phone for pictures, I will also use the phone for listening to podcasts too, thus I don't want to kill the battery on the phone and will use the camera. I carry a solar power recharger kit for my phone, but where I'm going, and based on weather reports on Sunday and Monday, there may be a number of hours clouds and I may not be able to recharge the phone that much. The camera gives me a good backup. 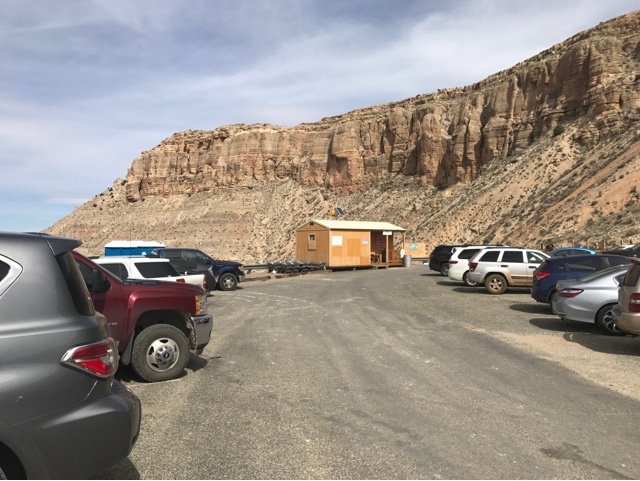 It is about a 3 hour drive to my destination at the trailhead and I stopped at the Loves Truck stop in Williams to cleanup for my hike that will not have any showers. At least I will start off with a clean body, even though it will be a few days before I get back to a shower. I also stopped at McDonalds for bandwidth in Williams and the connection speed was so poor that I gave up and continued West on I40. Above is my exit. 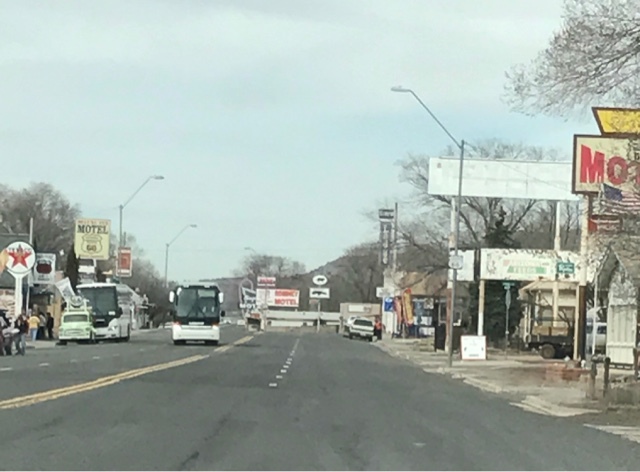 This is a segment of the old US RT66. At the same exit is this sign. 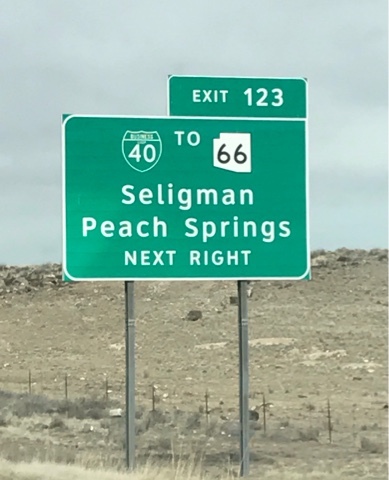 Seligman, AZ is a small town like Radiator Spring in the Disney movie. 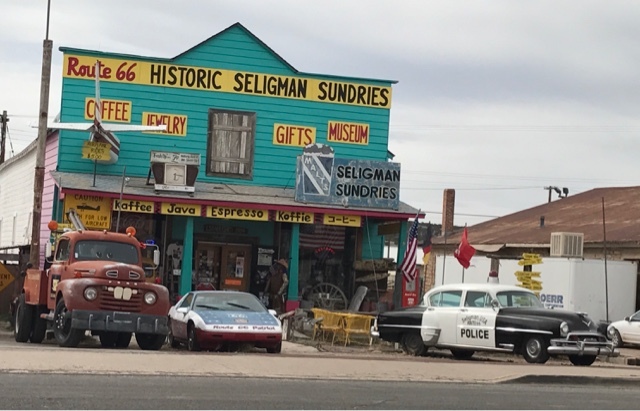 Above is the quaint town of Seligman. 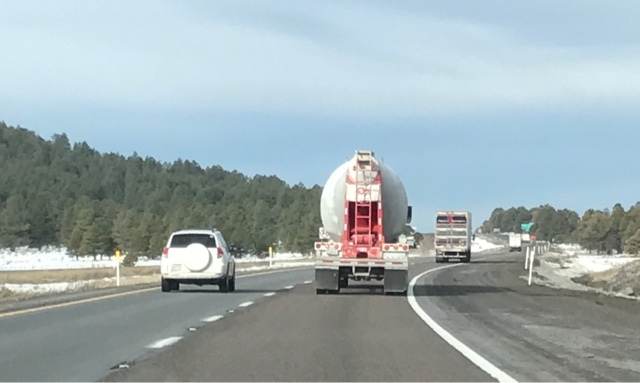 It's out of the way but if you have seen the Disney movie you may want to get off I40 and take s look. Can you see the wrecker and police car, like those in the movie? Mater and Sheriff! This is the building to the right. 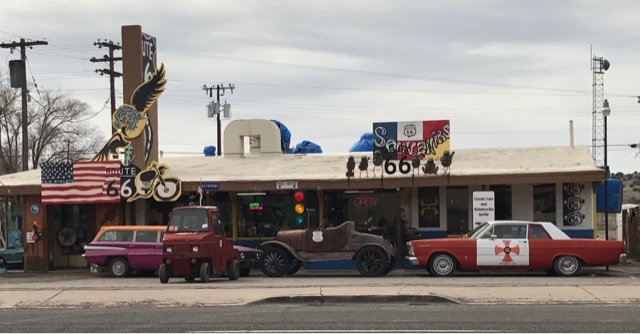 The town is very proud of their RT66 heritage. 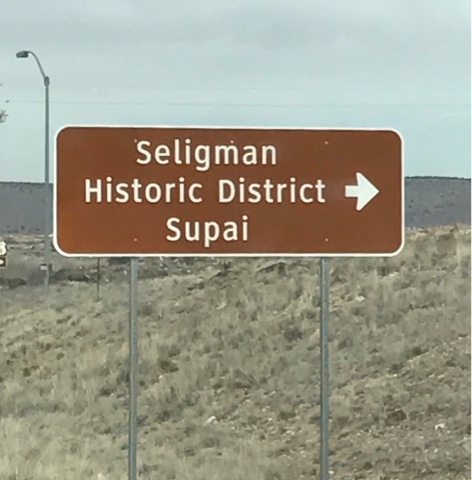 I'm going to the community of Supai and it is 60 miles off RT66! On the way it's generally flat to rolling hills but off to the left is a sign of things to come. 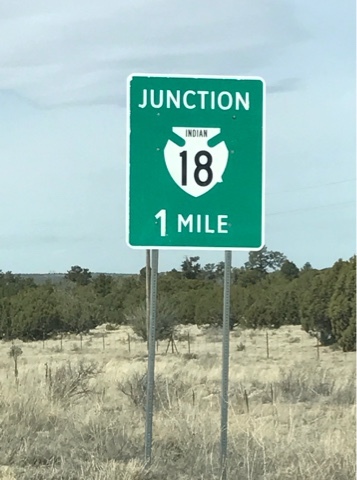 I have AT&T cell service and I lost the service about a mile before a turned on to Indian 18. I then had service mostly off and sometimes on using my Wilson cell Amplifer. There is cell service at the trailhead 60 mikes out. I offer information as I could not find out if AT&T cell service was available at the trailhead. The AT&T service provided voice ant text, but sending text with pictures was not possible while talking. Remember this was with a cell amplifier, but outside the car there was some handheld service. 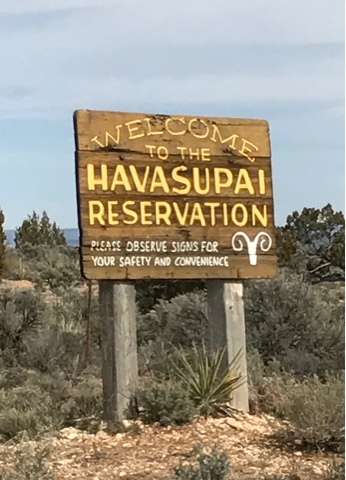 I am on the Havasupai Reservation for my hike. 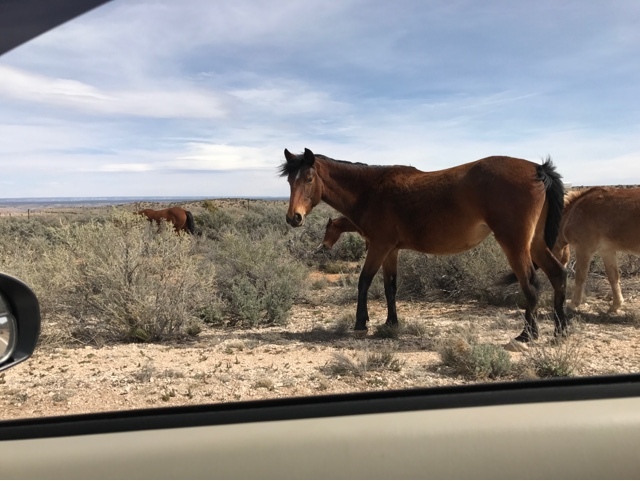 Horses roam along the side of the road and cattle too. This is the trailhead at the end of the road. 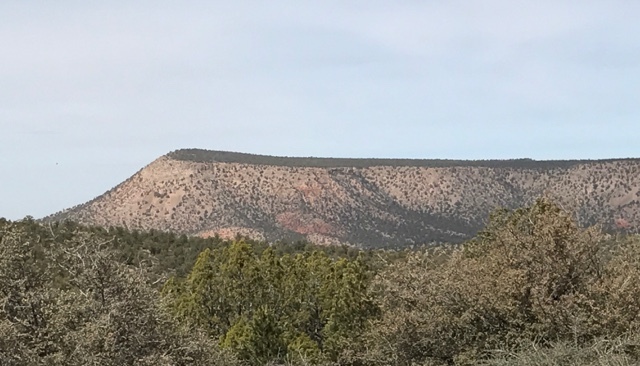 The Supai village is a 8 mile hike from here. This is the trailhead for the Havasu Falls Hike. I am on the edge of the Grand Canyon well west of the Grand Canyon National Park. My hike is down this river tributary in the Havasu Canyon that feeds the Colorado River. 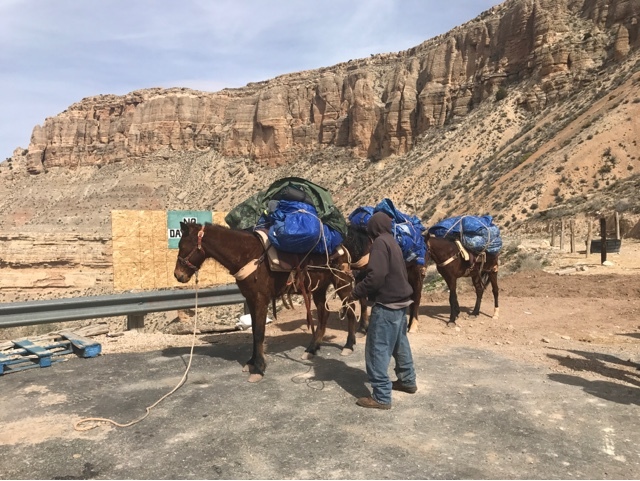 I arrived just as the first people were waiting for their equipment off the mules that had just made it up from the bottom. They chose to spend $35.00 to have each of their packs carried in and out. I will be carrying my pack each way. 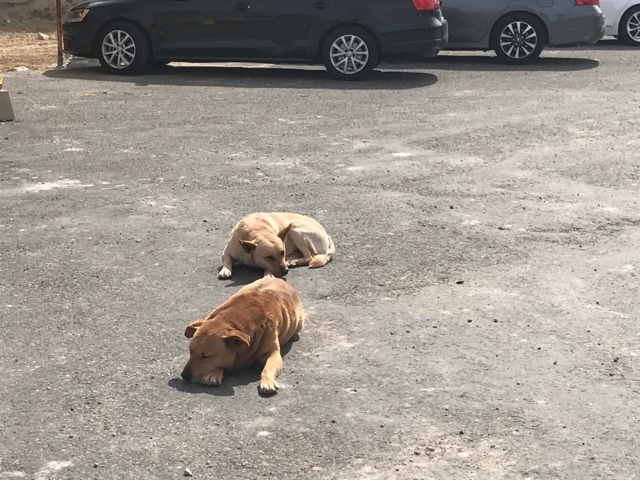 Dogs follow the mules each way. 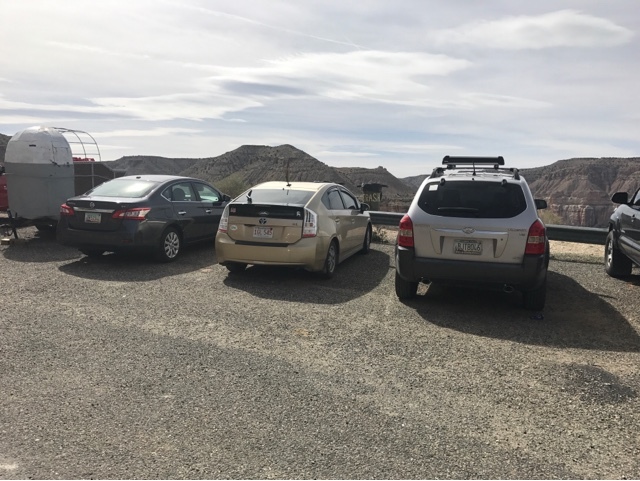 Here is my Prius parked for an overnight stay until morning breaks for the hike into the canyon. 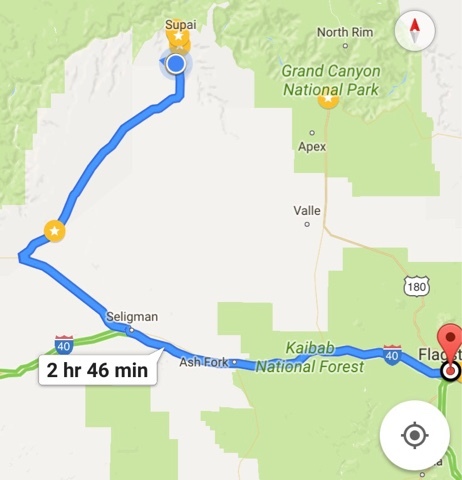 So, this is my hike that I have been planning for months to Havasu Falls, in the Havasupai Reservation. I will be telling you all about this hike in future posts, but if you can't wait do a google search for Havasu Falls and check out the images. Once I saw it on a post I knew I needed to come. 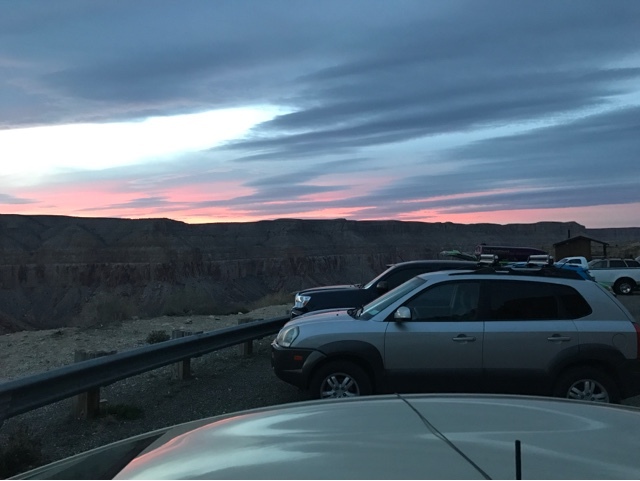 For those that guessed I was going to hike the Grand Canyon, you were partially correct. Havasu Falls is water from a tributary (Havasu Creek in Havasu Canyon) that feeds the Colorado River. Welcome back! 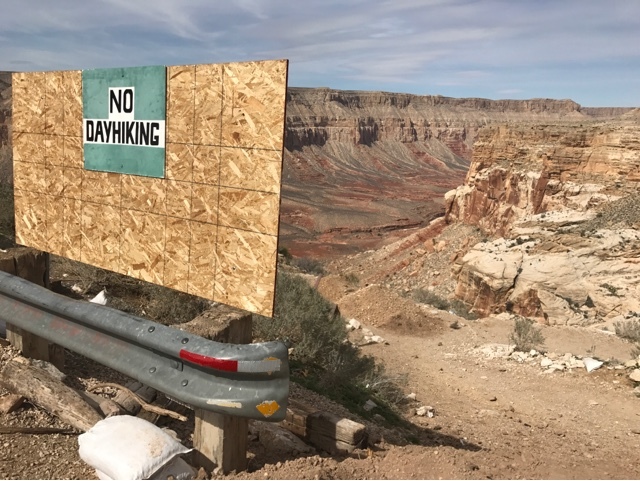 I was saying to Elaine just last week that I thought you might be headed to the Grand Canyon for your hike. I look forward top reading all about it. Thank you - it was a wonderful adventure.